According to the Huli people that I met in the Highlands, most of the headhunting and cannibalism in PNG took place down in the coastal areas. 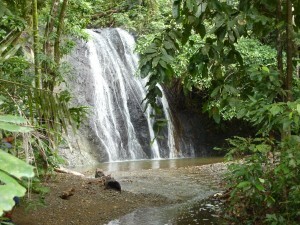 More than once I was told that Huli ancestors NEVER ate people, only cassowary birds and pigs. (Supposedly the flavor of human flesh falls somewhere between pig and cassowary bird.) It’s not like I said, “Excuse me have you, or any member of your family, ever eaten human flesh? And if so, which body parts are the most flavorful?” I try not to ask rude questions of machete wielding warriors. In fact I never once raised the subject but they must have sensed my interest because cannibalism came up time and time again during our visits with tribal chiefs and medicine men in the Tari basin. 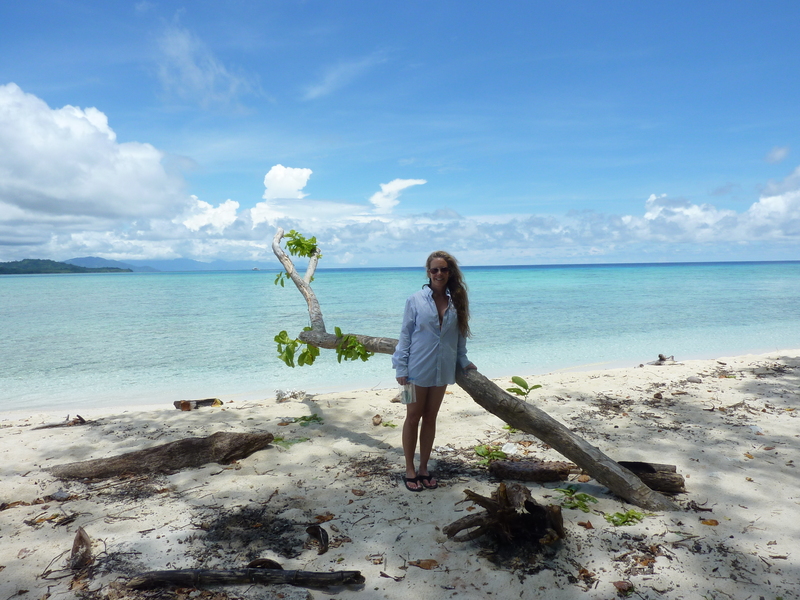 The Hulis were full of stories about the cruel and ferocious headhunting tribes of the coastal area, especially in the Milne Bay, and so I was pretty wound up by the time our plane landed in the beautiful town of Alotau. From the airport we drove an hour west to the end of the dirt road. We passed many villages where I saw bare breasted ladies, dressed in grass skirts, herding pigs. It truly was like stepping back in time. (Except for the fact that I was driving by in an air-conditioned van). At the end of the road we caught a boat ride to our hotel. Tawali is considered one of the best scuba diving hotels in the world, which was the main reason we chose it. 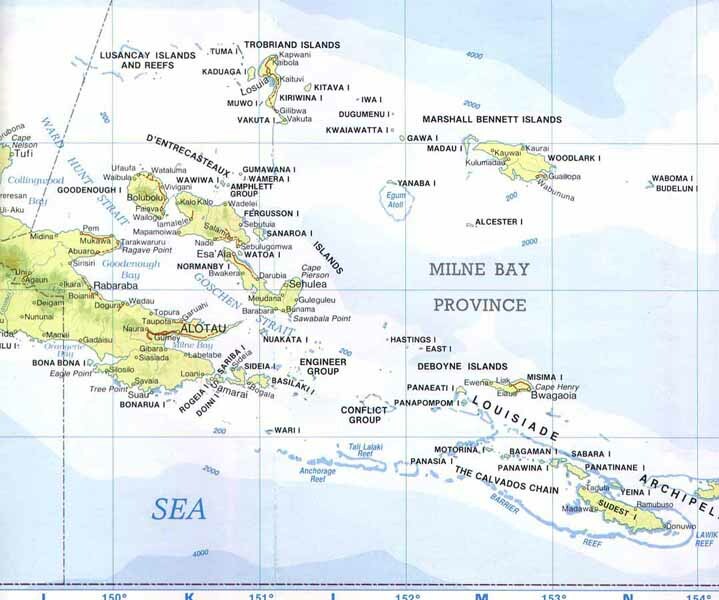 I found the diving in that part of Milne Bay very good, not great. However, the culture in the surrounding area is fantastic. One afternoon we took a boat ride to a nearby village. 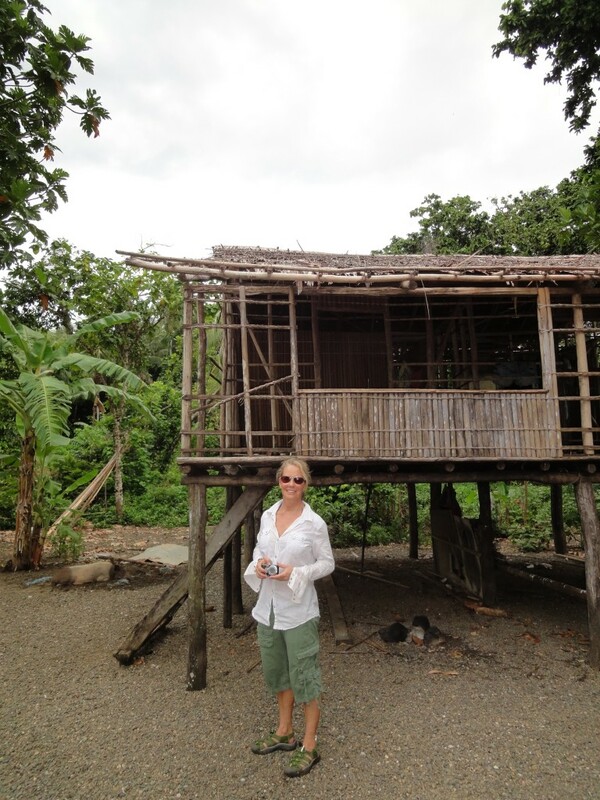 The people in the village were extremely friendly, some invited us into their homes. Everyone gathered round to welcome. Pigs wandered freely. We left the village and hiked through dense jungle, which was alive with the sounds of exotic and spooky birds, to a pretty waterfall. 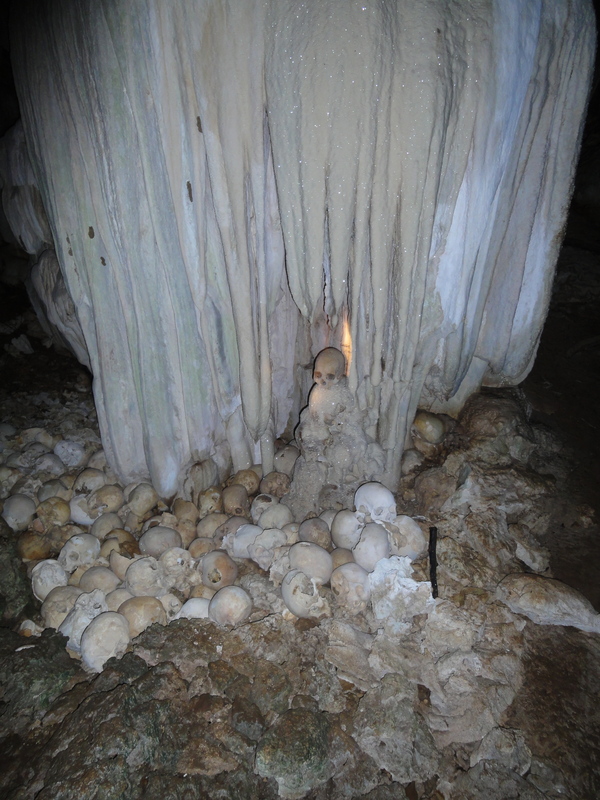 Then we continued on to the skull caves. 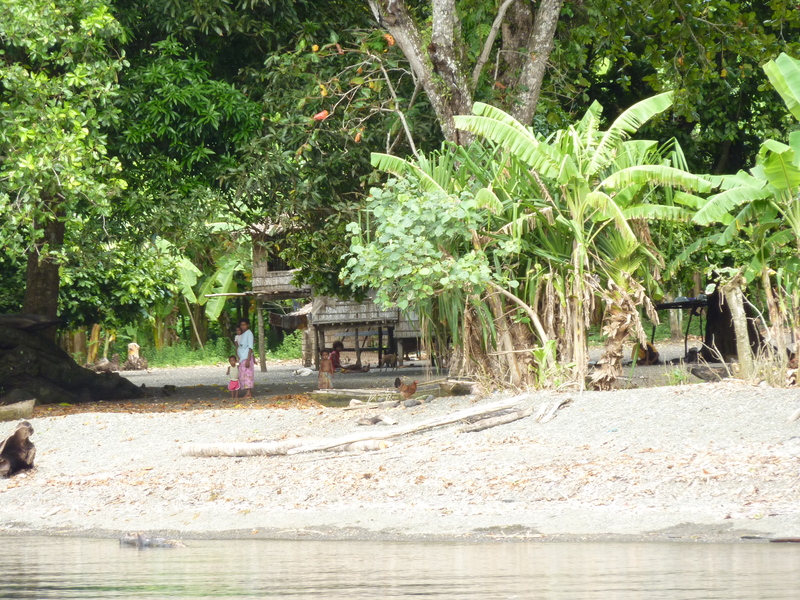 I was told that headhunters in Milne Bay typically captured enemies from neighboring villages, brought them back home, cooked them up, and ate them. It was thought that by ingesting ones’ enemy, you would absorb their strength and power. This practice is often referred to as exocannibalism. The skull was always kept as a trophy. 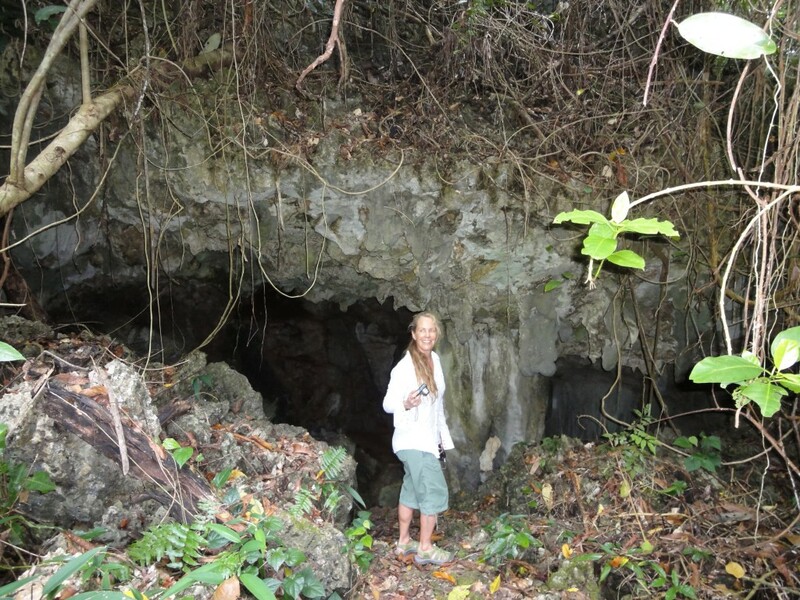 I had read about the skull caves in Milne Bay, museums of headhunting glory, and was anxious to see one. We hiked up a long and muddy path to the first cave. Then we followed our guide down into the inky darkness. I expected to see ten, twenty skulls. Maybe thirty. After all this time, how many skulls could be left? In theory it’s been over 100 years since the last incident of ritualistic cannibalism was performed. I stood and waited for my eyes to adjust in the darkness and then focused. There were hundreds of skulls. Mountains of skulls. There were bats flying around, it was dark, the mosquitoes were biting and I was looking at a long history of terrible human atrocity. 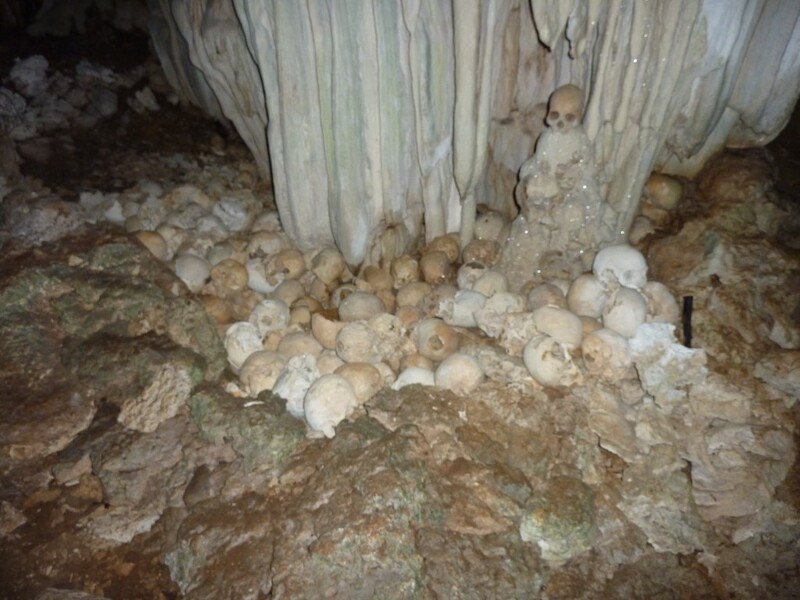 We hiked higher up the mountain to the second, larger cave where we found even more skulls. 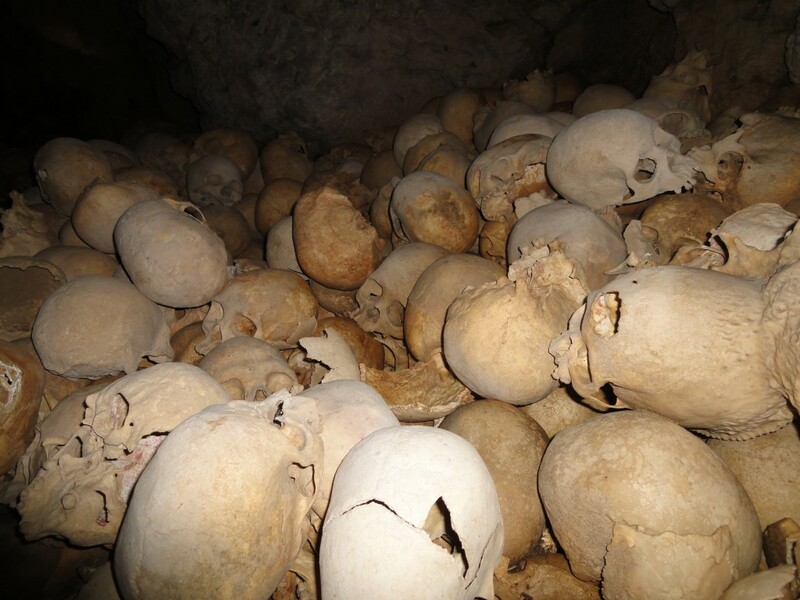 Hundreds and hundreds of skulls. All of these people. People! I found myself separating from the reality. The place was terrible but oddly thrilling. It forced me to ask myself, could I live this way? Are there basic instincts by which all of mankind is regulated? If you grew up in a cannibalistic culture, does life then take on a different meaning? Are we capable of endlessly adjusting to all circumstance? 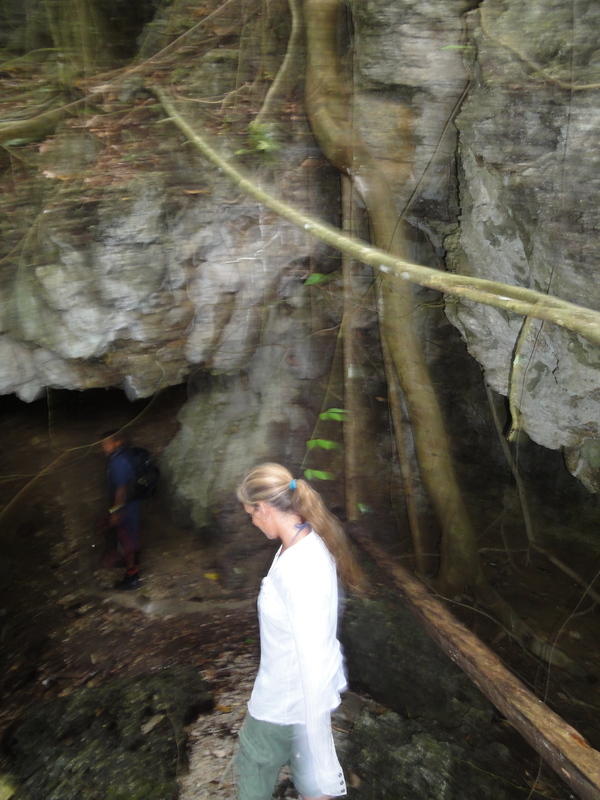 I stayed in the cave until I was covered in bites. For some reason those particular mosquitoes seemed attracted to DEET. I thought about malaria and finally asked the guide to lead us back down the mountain. 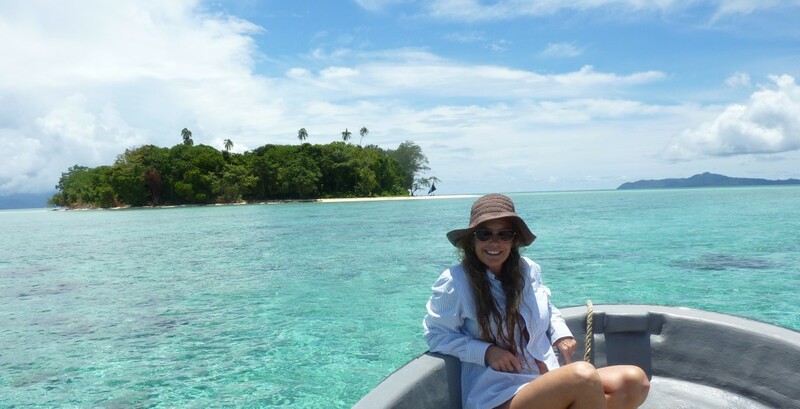 I came out of dense jungle into the sunlight and jumped into the brilliant blue water of that incredible ocean. It was hard to reconcile the terrible history, the dark and ominous place on the mountain, with dazzling sunshine and the smiling faces of the people in the village. They call Papua New Guinea “The Land of the Unexpected”. Yes, that’s true. It’s a lot more than you’d expect. And better.